After the Civil War ended, Pennsylvania Quaker Yardley Warner purchased 35½ acres of land south of Greensboro and divided it into plots to be sold to African Americans. Warnersville historians Dr. Johnny and Brenda Hodge wrote, “It was the first black community in the county where people could own their own homes, build their own churches, own land, run their own businesses and educate their own children.” Until they couldn’t. Redevelopment changed the landscape of Warnersville in the 1960s, but the spirit of the community continued, and in time influenced social change well beyond its borders. 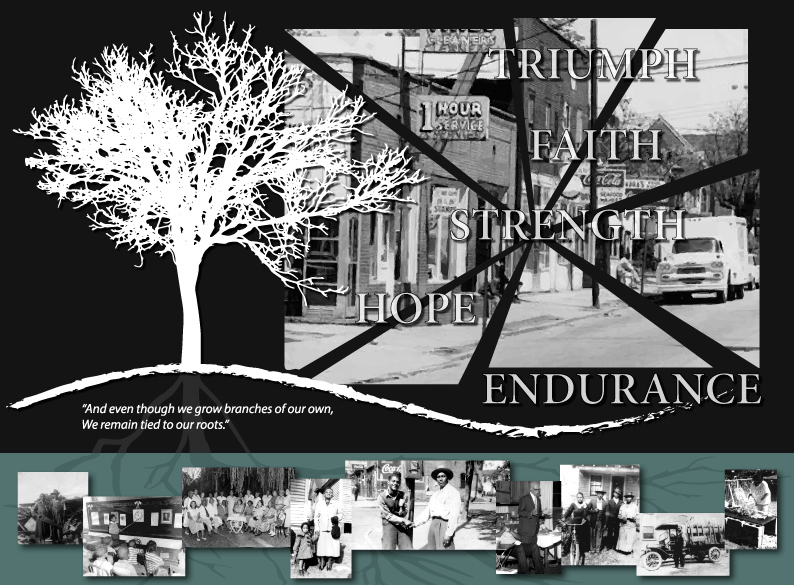 This multimedia exhibit examines the history of Warnersville through video and oral histories, artifacts, film, maps, photographs and the poetry of native Alonzo Stevens. Artifacts on exhibit range from a set of doors and the cornerstone from J.C. Price Elementary School to a 1960s championship baseball. New technologies include iPad stations and a kiosk where stories come alive at a touch.